Searching for a dog is not as easy as I thought. 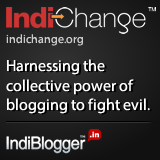 I have posted ads, spoken to a few friends who have dogs but have reached no where so far. The problem is that I want to adopt one as mom and dad wld throw me out if I even think of buying. I broached the topic as gently as possible yesterday with my dad. His reply was clear. No buying, only adopting. 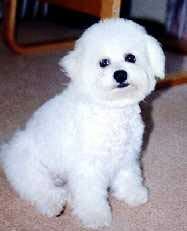 Help in finding my bichon pls. isn’t it a cute dog??? my friend who is scared of dogs also ended up liking the snap. 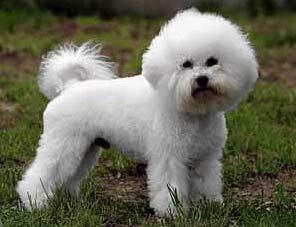 The Bichon Frise is a small breed that bears a striking physical resemblance to the Maltese. The French name “Bichon Frisé” literally translates to the phrase “Curly lap dog”. i have finally reached an understanding with my parents and can get this dog. now i am on a lookout for one.